Greenville In the chaotic back and forth over what may be about to happen to the Affordable Care Act, it is becoming almost impossible to follow the real issues as the bull passes our knees and rises towards our chin on all sides of the debate. We know something bad is about to happen, but we need a good checklist to measure the extent of the disaster even as we know the pain is likely to be terrible. Harold Pollack from the University of Chicago and Timothy Jost from Washington and Lee University School of Law did all of us a favor in an op-ed in the Times by listing what they called “seven important questions that Congress must answer before repealing the Affordable Care Act.” Many of their questions are also clearly benchmarks for measuring the minimum standards for equity and justice that should be demanded by all Americans for any so-called replacement coming from Congress. 1. How many millions of Americans will lose coverage? They also make the point often lost in the debate that tax credits and deductions are “nearly worthless” to lower income filers who would likely be priced out without direct subsidies. 2. Will people over 55 pay higher health premiums for the same coverage? This is a critical equity and cost issue for senior citizens with fixed incomes. The current Act limits the premium for older Americans to no more than three times that for younger citizens. Speaker Ryan has proposed going five times, which would be a budget buster for seniors. 3. Will the new plan let insurers charge women higher premiums than men while offering them less coverage? Obamacare in a critical reform banned this practice? Will the Republicans attack and penalize women for being women? 4. What other services are likely to be cut? Before Obamacare a third of the market policies did not cover addiction treatment and “nearly 20 percent lacked mental health coverage.” Will Republicans embrace the tragedy and roll this back along with other benefits? 5. Will the new plan let insurers reinstate annual or lifetime limits on coverage? Will Republicans allow a life-threatening illness to bankrupt victims and families while giving insurers a free-ride? We have to ask what insurance is for if there’s no coverage? 6. What will happen to the more than 130 million Americans with pre-existing conditions? This is huge and Congress needs to have the right answer because this was a critical reform of Obamacare and one that was popular enough that Trump even echoed its promise during the campaign. 7. 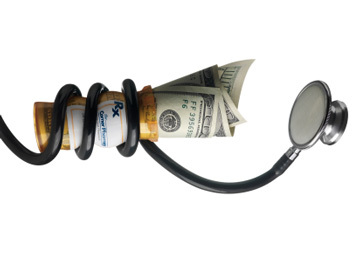 How much more will those with costly illnesses or injuries have to pay in out-of-pocket costs? Costs are now capped at $7150 for individuals and $14,300 for families, and that’s way too much. Current Republican proposals thus far offer no cap to either deductibles, which are already leaving lower income workers outside of coverage in healthcare and service jobs, or cost sharing. You could drive a truck over people unless this loophole is closed. This list of questions is really only the starting point, but any replacement at the least needs to answer these questions correctly to even pretend to be called a national healthcare protection plan. Keep them handy to grade the outcome in the common debate. This entry was posted in Health Care and tagged ACA, Affordable Care Act, obamacare, Trump Administration by Wade. Bookmark the permalink.